Location was a prime factor so they began with online research of luxury rentals near PATH stations which would allow for an easy work commute for Jaqueline in the West Village and Alberto in SoHo. The spike in new construction apartments in downtown Jersey City presented the couple with a number of buildings to choose from. However, one building did stand out. Vantage, the 45-story upscale rental tower developed by Fisher Development Associates in Liberty Harbor North, had recently opened its leasing program and quickly separated itself from the pack. Jaqueline and Alberto would rent a one-bedroom apartment on the building’s 10th floor. The couple would become one of the first residents to begin enjoying a well-rounded urban lifestyle at Vantage. 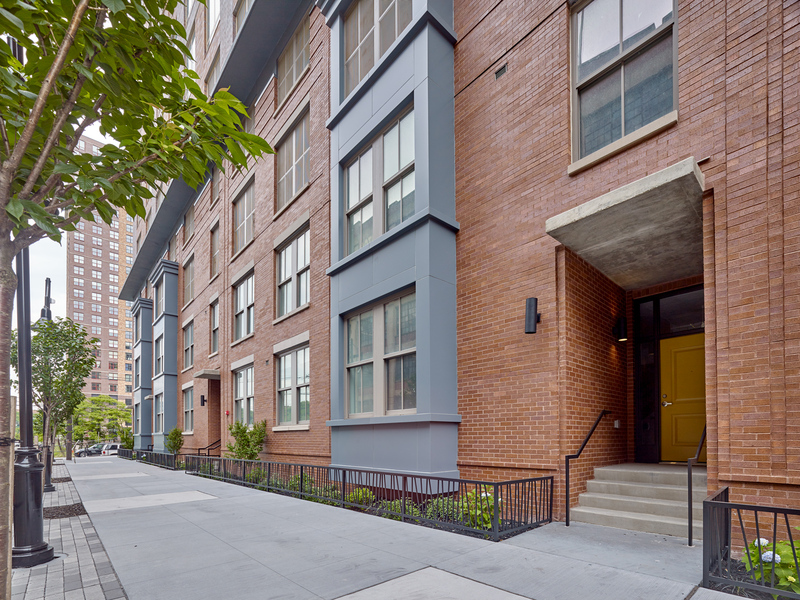 Located at 33 Park Avenue, Vantage lies adjacent to charming Paulus Hook and Van Vorst Park. Just steps away is the dining/nightlife scene on Newark Avenue, while Manhattan can be reached in minutes via the Grove Street and Exchange Place PATH stations and New York Waterway ferry service. Vantage offers a collection of studio, one- and two-bedroom residences with some of the largest apartment homes in Jersey City’s new construction marketplace. Available for immediate occupancy, residences boast nine-foot ceiling heights, wood flooring, recessed LED lighting, in-home washer and dryer units and cutting-edge energy-efficient systems. Homes are priced from the low-$2,000s and have limited time concessions. Designed by S9 Architecture, Vantage features floor-to-ceiling glass windows that bathe homes in natural light and maximize its exceptional location and panoramic views. Enhancing residents’ lives is a full suite of indoor and outdoor social and recreational amenities that includes a 24-hour Concierge, cyber café, state-of-the-art health club, children’s playroom, business center, conference room, screening room, dining area and an enclosed parking garage. A sixth-floor outdoor amenity deck features a zero-entry swimming pool, lounge, landscaped area and full-court basketball court, while the Vantage Point Sky Lounge on the 45th floor offers a social space with incomparable views. Fisher Development Associates is pursuing LEED Certification from the US Green Building Council for Vantage.